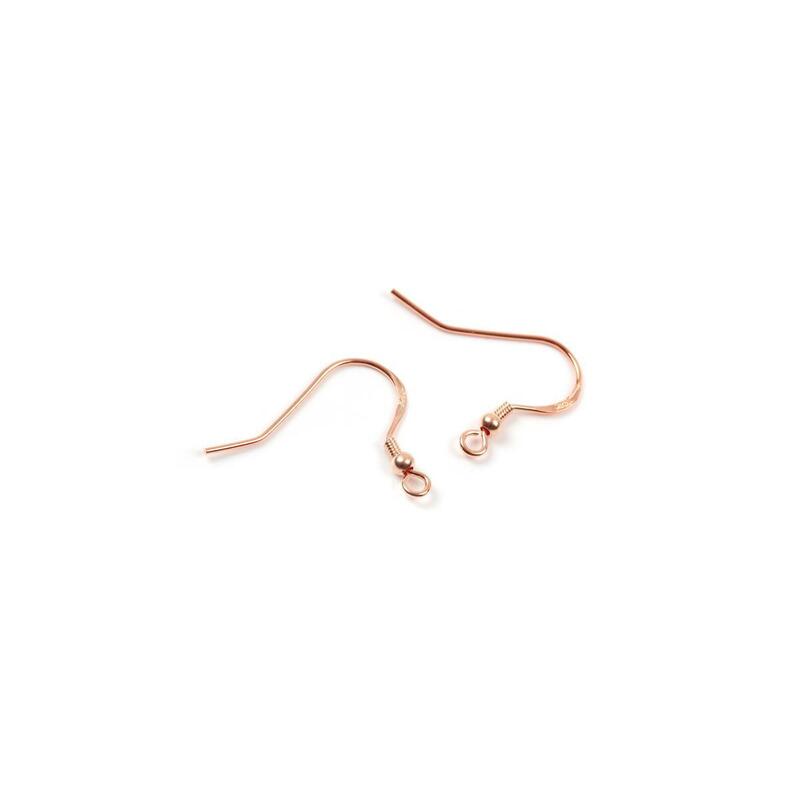 Create an elegant pair of earrings with these Rose Gold Plated 925 Sterling Silver Fish Hooks with Coil and Ball. A simple, classic style, these solid 18mm Shepherd Hooks won't limit you in terms of design and comfort-wise, they will thread effortlessly through the ear. To the looped end you can add a jump ring and a number of precious gemstones, beads and charms to suit your taste.